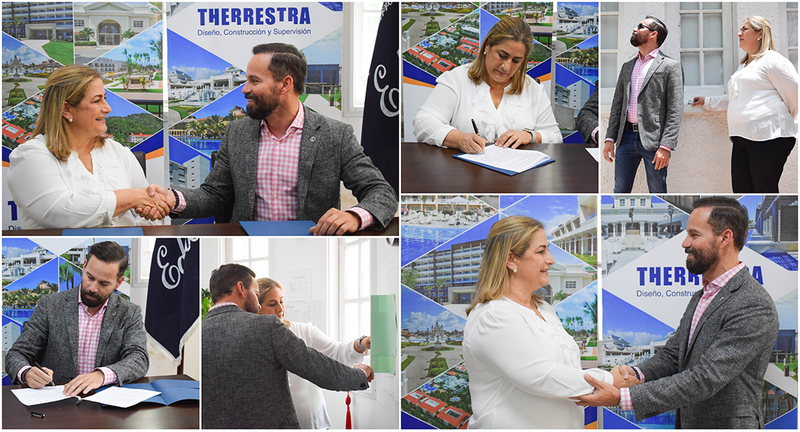 Therrestra CEO, Hugo Pérez Ovalles, signed a framework agreement with the headmistress of the Centro de Desarrollo Integral Educare, Olga Espaillat, where all cooperation methods to benefit and drive learning in students were presented. Mr. Pérez Ovalles stressed the importance of learning, and the efforts required during your schooling years -elementary, high school and college- to face forward a competitive labor market. “It is important that students know early on the challenges that await them as they grow. I want them to know they have an ally in Therrestra for their professional development”, Pérez Ovalles stated. All high-school students in the center, have been favored in the past, thanks to several contributions made by Therrestra, confirming the agreement is just a legal framework to confirm all the long-lasting work done by the construction company.